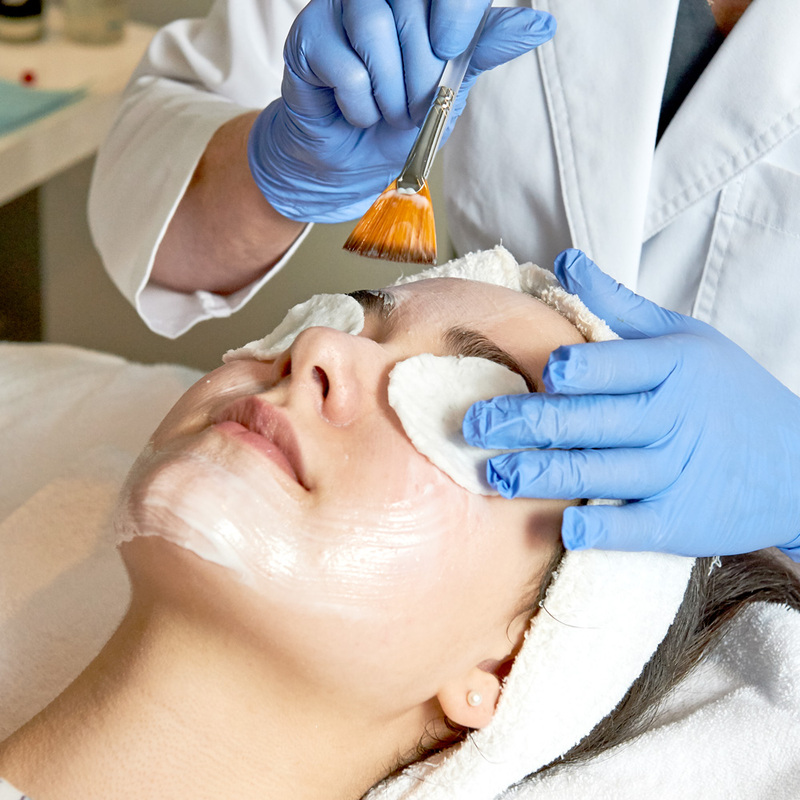 Our medical estheticians will customize the right chemical peel depending on your skin’s condition and your desired outcome to maximize results. These peels may include mandelic acid, glycolic acid, salicylic acid, lactic acid, green tea with kojic acid, resorcinol, and tretinoin/Retin-A. A less harsh alternative that is excellent for sensitive skin. This brightening serum can be layered under our professional acids and enzyme peels to stabilize melanin production. For aging, dry, dull skin. Great for hormonal acne and rosacea. This is a great, no downtime peel to address sun damage, fine lines, and lack of elasticity. Uses a blend of glycolic, lactic, and kojic acids with an added bonus of antioxidant/Vitamin C to improve skin radiance and clarity. Safe for all skin types. VI Precision Peels are formulated to treat stubborn melasma, acne, discoloration, and age spots. Boosters and post-peel cream cleanser are included in the home kit.